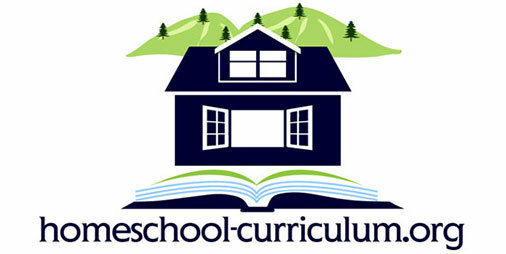 One of the most common questions we get at homeschool-curriculum.org is what are the requirements for homeschooling? This is a very important question, and it makes sense that people are asking. In the first years of homeschooling, many parents are afraid of not meeting the law’s requirements. Those first years of home educating can be intimidating for a lot of reasons. 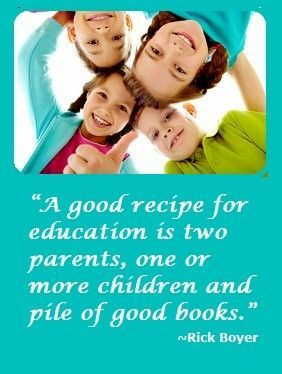 Many parents ask themselves if they have what it takes to educate at home. Will they be academically strong enough to teach their children? Will they be able to provide an education that is as good as a public or private education? The reality is, most homeschooled children, on average, actually score higher and achieve greater success with things like standardized tests and academic contests. Still, it is very important to make sure that your child is keeping up with the necessary requirements for each year of homeschooling. Around the world, there are a lot of different expectations for homeschooling. Each country has their own guidelines with varying levels of government involvement. In addition, there are a number of countries that do not allow parents to educate at home. Below is a short list of countries, and a brief overview of their requirements. In the United States, it is completely legal to homeschool. However, it’s important to note that each state has different requirements. Some states have relatively loose expectations, and others are much more regulated. For example, if you live in Texas or Oklahoma, you can expect very little oversight from the government. However, if you live in Pennsylvania or New York, the regulations are much stricter. If you’re a citizen of Australia, you can also expect different requirements based on the state or territory you live in. For example, New South Wales and Queensland have the strictest registration guidelines. In these areas, they may ask you for lesson plans in order to make sure that you’ll be teaching your children material that matches their guidelines. In Victoria, on the other hand, the registration policies are far less strict. In Victoria, they currently only require parents or guardians to submit a form to the Victoria Department of Education letting them know that they have an intent to home educate. Canada is very similar to the United States and Australia in the sense that there are different requirements depending on which province you live in. Every province in Canada has their own Education Act and Regulations as denoted by their Ministry of Education. If you’d like to home educate in England, you’ll need to deregister your child from school. It is then the school’s job to let the local authority know that you will be educating your child at home and that your child(ren) will no longer be attending the government school option. You may receive a visit from the local authority to see that you are able to provide a proper education for your child. If you would rather, you can create a report to represent your plan of education. It should be noted that England does not require home educated children to follow the National Curriculum. You’re also not required to teach all of the same subjects. Homeschooling, or free school as it is commonly called in Japan, is practiced, although at times the laws can be difficult to interpret. Parents fought for the right to free education in Japan, and the laws are written in such a way as to provide free education to all children in the country. The Japenese education laws do not explicitly state whether a child is allowed to homeschool, but they also don’t state that they aren’t. It seems that the laws in place are primarily there to make sure that children have the right to education, rather than to expressly deny them the right to educate at home. However, local authorities and schools may not be in favor of homeschooling and may instead believe that a family is refusing the right to an education — or in other words, that they’re choosing not to educate at all. For those wishing to homeschool in Japan, it is a good idea to connect with the local authorities and school boards to move forward with educating at home. In addition, it is a good idea to come prepared with lesson plans to show them the homeschool curriculum program you’re planning on using for the year. If you’re an Irish citizen, and you would like to home educate, you will need to register with the National Education Welfare Board. An officer will be sent to your home to make sure that you have proper accommodations for your child’s education. They will let you know what their expectations are for you and your child. If you’re planning on home educating in Northern Ireland, it’s important that both parents give permission for their child to be home educated. This can even be true if the parents are divorced. 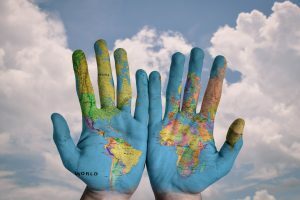 For those who live in countries where homeschooling is perfectly legal, it may be surprising to learn that there are many countries in the world where home education is against the law. Here is a short list of some of the countries where it is currently illegal or unusually difficult to home educate. It is currently illegal to homeschool in Germany. While some may argue that it doesn’t limit parents from educating outside of school hours, the fact remains that parents in Germany are not allowed to educate at home for their children’s primary education. Currently, there are some parents who are advocating for the right to educate at home. In fact, some families have chosen to leave their country in order to have this right. In Bulgaria, it is illegal to home educate except for children with special needs. Children with special needs who are taught at home are still under strict government oversight. Like Bulgaria, it is illegal to homeschool in Greece unless a child has special needs. In these exceptional cases, the child’s education would still be overseen by the school and materials would be provided by the school. If you’ve established that it is legal to homeschool in your country, what should your first step be? Naturally different locations have different requirements. If it is required in your area, it’s always a good idea to alert your local school district, school board, or local authorities of your intent to homeschool. Calling or meeting with your school district directly is a clear and fast way to make sure you both know the standards that are expected of your homeschool curriculum. They can provide you with what records you need to keep to make sure your homeschooling receives the proper accreditation. This sets the foundation of what you need to do and what the school district expects from you. Record keeping is possibly the most important part of homeschooling. When you call your district, asmentioned in step one above, they should supply you with a list of your requirements. This is the first paper you keep on record should you ever need to refer back to it. Another helpful thing you can do is write a letter of intent to your school district. 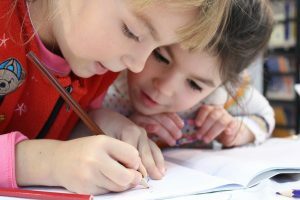 A simple letter letting your school district know you intend to homeschool your children opens the line of communication and also puts your child’s schooling on record with the district office. This basic level of communication is important in case you need to contact them in the future, which is very likely. If you’re looking for an example of a letter of intent, you can check in with a local homeschooling association. Often finding an association that is local to you is invaluable as they will be the most familiar with the expectations in your area. In addition, you may want to reach out and ask your local school district about what their requirements and expectations are. Your letter of intent needs only to meet the standard expectations of your area, so it’s a good idea to know what they are looking for. As stated above, location makes a big difference in what your school district might require. In the United States, some states require a licensed educator to monitor your homeschooling. You may be required to have a third party examiner provide end of the year assessment and placement tests. In other states, there may be little to no requirements. Below is a common list of requirements that may be in place in your area. Some schools require grades to be kept each semester or year. If they are required, you may have to supply these to your local education department. Though they are not always required, it is a good idea to keep them, especially in high school situations. Keeping track of your child’s GPA can be helpful when applying to colleges. Rules and regulations can change yearly. They can also be confusing. If you are looking into homeschooling you may want to talk to an attorney that has experience in educational law or visit the Homeschool Legal Defense Association website for up-to-date information. If you’re in the United States, HLSDA allows you to register with them to be notified if any laws are changed in your area. For those who do not live in the United States, HLSDA also has legal information on international homeschooling laws. For information on laws, you can also speak with a local homeschool association to learn about your specific state laws. Reaching out to other homeschoolers in your area is a great way to grow your community, and become aware of changes in the laws that might affect your family. Some countries, or certain locations within countries, may require an inspection of your homeschooling practices, or even of your home. This is to ensure everything meets the legal requirements. Your inspector may ask what lessons are being covered and ask for a record of work. If required, make sure to keep a portfolio. This should contain examples of your child’s work through the year. You may also need to provide medical records for your child. This reassures the inspector you are meeting the requirements in your area. 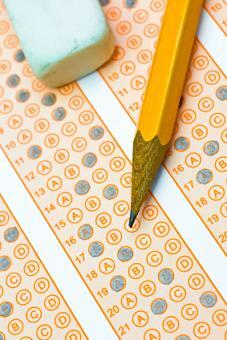 Depending on your location, you may not be required to participate in a placement test. However, there are some locations that do require placement testing. The good news about placement tests is that they can provide a great deal of information for parents about where your children may have areas of weakness in their education. This can also tell you what level your child is on learning. Some places in the world have stricter guidelines when it comes to what your child should be learning during the year. Some locations may expect you to follow a government established curriculum program, and others allow a great deal more flexibility. Some locations may only require that you include certain subjects like math, language arts, history, and science, but give a lot of freedom when it comes to creating or using curriculum programs. Other locations may have very little requirements in this regard. Connecting with your local school district will help you know exactly what is expected of you in this area. Some locations require that you keep a record of each day of education. This is important for locations that require children are educated a certain amount of days or hours throughout the school year. If this is a homeschooling requirement in your area, make sure to keep detailed records of exactly what happens when you are teaching your child and when it is taught. Don’t forget to count “field trips” to museums, zoos or anywhere that you consider a learning opportunity…these activities count too! If you’re looking for examples of attendance trackers, there are a lot of options. You can purchase planners, or you can create your own. 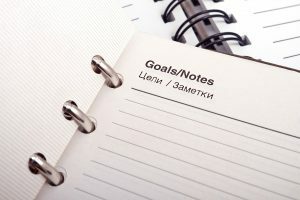 You can even get your kids involved, and have them make a goal list that can be filled in once it is accomplished for the day. In many locations, there is an expectation of annual assessment. Depending on where you live, you may need to do these yearly, or at certain grade levels only. Or, you may not be required to do standardized testing at all. In the United States, different states have different requirements. If your state does require standardized testing, you’ll need to find out where your child can be tested. Connecting with your state’s homeschool association can be a great way to do this. For example, North Carolinians for Home Education has a really nice list of locations for testing. You may also be able to join a homeschooling group that will offer group testing for their members. Many people wonder what kind of qualifications are required of them to be allowed to home educate their children. As with everything else, your location will determine the answer to this question. In the United States, some states request that the parent have at least a high school diploma, or a GED. Other states do not have this requirement. In England, as another example, there is no minimum level of education required to home educate your children. Please note: We are not the final word on requirements in your area. Any requirement is subject to change. We are not experts in this field, and we cannot provide legal advice. If you would like to learn more, there are a number of ways that you can determine the legal homeschool requirements in your area. The best place to check is to check online for any homeschooling organizations in your area. They can provide you with information that is pertinent to your location. Another good resource is the department of education, or the Homeschool Legal Defense Association. Remember, each location has unique homeschooling requirements and regulations. If you are already homeschooling and are moving from one area to another, check the new area requirements early to allow you to gather any necessary documentation for when you move into the new area. We live outside the country but resided in Texas before moving abroad. We are in between school terms and maynot be able to start our 14 Yr old in schools her until next term.